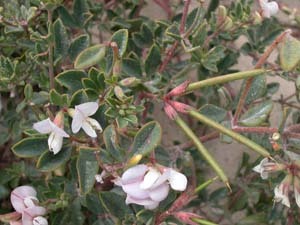 Lotus australis is a rare native species that grows on calcareous coastlines. 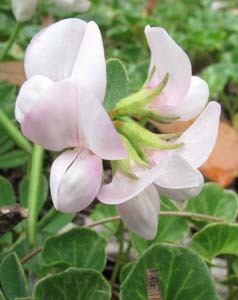 It is easily distinguished from the introduced Lotus species by its flowers - they are purplish instead of yellow. 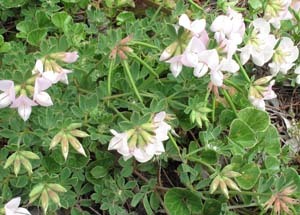 The leaves are quite thick, with three terminal leaflets and two leaflets at the base of the leaf.